At the age of 10, 11, 12 young girls go through a very serious stage of their lives, they turn from young girls into mature girls with more responsibilities according to their health and behaviour. “I’ll say, ‘OK, everyone stands up and yell the word blood!’ or say, ‘Half of the people in the world have their period!’ ” According to UNICEF, more than half the schools in the poorest countries lack private toilets. And unlike teenage girls in well-off countries, many in the developing world can’t afford (or even find) tampons and pads. The menstrual hygiene process is different for every girl and woman. It is very specific because it relates to the organism of the person, with the health situation and mostly with the inner feelings and emotions. When this stage of life comes to a young girl she doesn’t know what she has to do and what is she going to face up through all her life and that’s why she should be well-educated on this topic, she should know her organism in order to know how to react when it happens. It is very important young girls from 7-9 years old should talk freely with their families on this topic, especially with their mothers and sisters. There are many girls that grow faster than others and they should be prepared and know how to react because the first time the menstruation comes they may be alone and they should know what to do. It will be very good if in each school nurses could be the people to turn to when this happens and they should explain the change of the organism and the management with the menstrual hygiene to young girls and they should provide consultation time for example once or twice a week when girls could go and speak freely on this topic and ask questions without being judged from their families, friends or the society in general. But today, in Fako Division, South West Region of Cameroon this is not the Case instead they stay away from school. When the menstruation comes it is considered that the girl is ready to get married, have children and start a family based on culture and tradition. With all these setbacks, they cannot go to school or stay in school. This project seeks to address these problems. 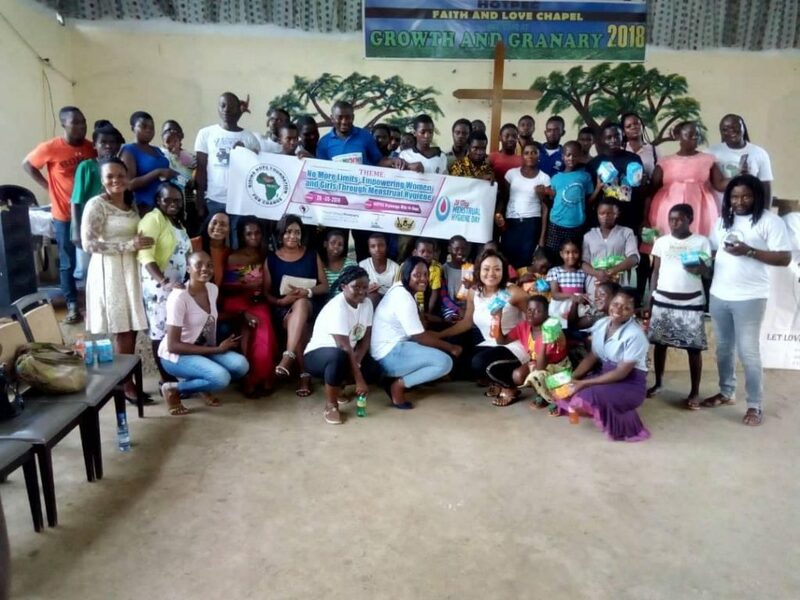 The main objective of this project is to raise awareness about menstruation and the menstrual cycles of school girls in Fako Division, South West Region of Cameroon. RHFC want to ensure that.  Young girls are aware that, they can carry out daily routine such as going to school or doing household chores while menstruating.  How to use hygiene products and sanitary pads?  Knowledge of the use of the tracker to record menstruation start and stop dates.  Accurately learn to calculate their cycle to Prevent potential situations of embarrassment.  Make them aware that maintaining proper menstrual hygiene is important for well-being and development.  Educating girls about menstruation helps increase self-esteem, raise grades and raise wages.  Learning about menstruation empowers girls to take care of themselves in brand new ways.  Girls staying in school longer contribute to the economic empowerment of not only the Woman but also to the family, community, and nation.